Our award-winning speakers use their years of real world experience to present thought leader topics in an inspiring and entertaining way. We know how hard it is to get that perfect speaker for your event. We will work with you and help you meet your event goals no matter what type of speaker you are looking for Keynote, Conference, Workshop or small group speaker. Gary A. Higbee, EMBA CSP Gary has over 40 years of experience ranging from working on the factory floor to upper management. His first priority is protecting the people and resources that make this country great. Gary has over 40 years of experience ranging from working on the factory floor to upper management. His first priority is protecting the people and resources that make this country great. In 1986 Gary founded Higbee & Associates (Then called Industrial Safety Consultants) a full-service safety training and consulting firm. He managed the consulting firm even though he had full-time management positions with John Deere and Maytag until his early retirement in 1998. The firm was incorporated in Michigan in 2002 and is now headquartered in (Johnston) Des Moines, Iowa. Higbee and Associates, Inc. serves companies in the United States, Canada, and South America. 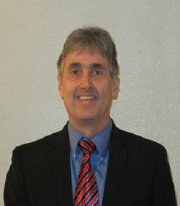 Gary is also the Senior U.S. Safety Consultant for SafeStart and SafeTrack North America. Gary has an MBA from the University of Iowa and is a board-certified safety professional. Gary is a past recipient of the Safety Professional of the Year award for region IV of the American Society of Safety Engineers. He is considered an expert in Traditional and Behavior-Based Safety Technologies as well as Organizational Change. In addition to his consulting, Gary has published many articles. His 2004 releases include “Guaranteeing the Success of Safety Committees”, “Nine Steps for Changing your Safety Culture”, “Breaking the Cycles of Risky Behavior” and “Frustrations in Safety”. His 2005 releases include “Five Stages to World Class Safety”, ‘Visionary Leadership” and “Managing Complex Change”. In 2006 he published four articles on safety committees, two on “Breaking the Cycle of Risky Behavior and 3 Attributes to World Class Safety. Using his over 40 years of experience and a sense of humor Gary has become an internationally known speaker on safety, health, environmental and business issues. Gary is available for consulting , expert witnessing and public appearances. Contact information is listed below. Higbee & Associates, Inc.
Terry Butler, CSP Holds BS degrees from Illinois State University in Safety Engineering and in Industrial Technology. Received an Associate Arts degree in Business and Industrial Psychology from College of Du Page Du Page in Glen Ellyn, IL. Terry holds two BS degrees from Illinois State University in Normal, Illinois (BS in Safety Engineering and BS in Industrial Technology). He received an Associate Arts degree in Business and Industrial Psychology from College of Du Page in Glen Ellyn, Illinois. Terry Joined Vermeer Corporation in Pella, Iowa in 1997 where he was Vice President of Facilities and EH&S, Director of EH&S, Director of Operations and is still Director of Benefits and EH&S as well as Technical Advisor to Vermeer Charitable Foundation. We are proud to have Terry Butler and the experience and knowledge he brings to our team. William “Jack” Jackson, B.S. Jack uses his extensive manufacturing background to help organizations and individuals achieve their safety and productivity goals. We are excited to have added Jack and his enthusiasm to the team. William “Jack” Jackson loves people and has a heart for mentoring. Jack uses his extensive manufacturing background to help organizations and individuals achieve their safety and productivity goals. You will even see the determination and dedication he used to excel as a football player come through in his work. We are excited to have added Jack and his enthusiasm to the team. 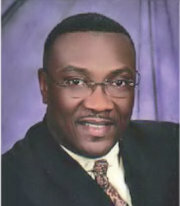 William “Jack” Jackson has over 20 years experience in the manufacturing safety field. He attended college in Missouri at Lincoln University, where he earned a BS in Mechanical Technology. He completed Basic Training in Fort Knox, Kentucky while attending Lincoln, and was a member of the U.S. Army Reserves. Jack was employed for 19 years with Johnson Controls, Inc. While at Johnson Controls he held a number of positions throughout the company. He helped one facility reach 10 years without a lost time accident. He later became the Health, Safety, Ergonomics, and Environmental Coordinator for Avanzar Interior Technologies. This facility was built in San Antonio Texas, as one of the 21 on-site suppliers supporting Toyota Texas Motor Manufacturing. The Texas plant is responsible for producing the Toyota 2007 Tundra. Jack came aboard in 2005, while the site was still under construction. His responsibilities included overseeing the construction safety phase of the project. Once construction completed he continued on to develop the safety management system as well as the safety program for the facility. He set the tone early on for the direction of the Safety culture within Avanzar. Jack Jackson does some public speaking and most recently spoke at two OSHA VPP Regional conferences. Jack is also a certified SafeStart consultant and a Behavior Change Consultant. Jack is available for safety consulting, on-site construction and demolition monitoring, safety management system design, safety training on a broad range of topics and safety program development. Tim Page-Bottorff B.S. Tim was one of the first HAZWOPER instructors for the Marine Corps when the standard was introduced. He excels as an adult educator, facilitator and mentor for several diverse populations. Tim was one of the first HAZWOPER instructors for the Marine Corps when the standard was introduced. He excels as an adult educator, facilitator, and mentor for several diverse populations. His passion for training and his humble approach makes Tim one of the most approachable consultants. Tim Page-Bottorff has over 16 years of Safety, Industrial Hygiene and Environmental experience. While maintaining a family, Tim attended college at Arizona State University (ASU) and University of Phoenix, where he earned a BS in Business Management. In addition, Tim is a thesis away from completing his Masters Of Science in Environmental Management from ASU. He completed Basic Training in San Diego, California at the Marine Corps Recruit Depot and honed in on his environmental management skills at Camp Pendleton, California. During his enlistment in the Marine Corps, Tim focused mainly on the effects of hazardous waste on the environment and a Marine’s health. Tim taught HAZWOPER courses at the Marine Corps base to all levels and was responsible for two Supertund sites. He was able to be mentored as an IH technician and slowly became a stand-alone Safety Professional. After his honorable discharge, he later became a Safety Engineer at Motorola in Mesa, Arizona. Tim’s responsibilities included contractor safety management, lock out tag out, and emergency response. Tim was a Captain on the Volunteer Fire Brigade, which was responsible for plant-wide emergencies including chemical response, incipient stage fires and emergency response egress. This is when Tim realized that he needed to be in front of people teaching about safety. In 1998 Tim was the Director of a local Arizona health and safety firm to direct it’s efforts in business development and lead every consultant in a ··send ’em Home Safe” business direction. In this time frame, Tim logged over 6500 training hours, managed 8 safety consultants and brought in sales worth approximately $1.2 million. Tim specialized in HAZWOPER, Confined Space Entry, and Rescue, Safety Inspections, Traffic Control, Lock Out Tag Out and Training Trainers to be Trainers. Tim has been awarded a Humanitarian Service Medal. He is certified as a California Fire Marshall/CST! Instructor, Asbestos Inspector/Management Planner. He as also published articles in the CWEA flowline, AGC of America and Coatings Pro. 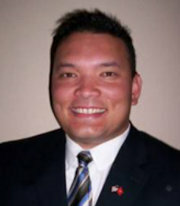 Tim has served on the Local Arizona Board of the ASSE as a Membership Chair, and Golf Committee Chair. 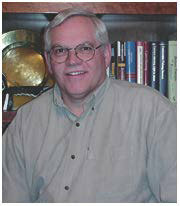 He has also been a past chair of the Southwest Safety Congress. Tim is available for HAZWOPER, Lock Out Tag Out, Traffic Control, Confined Space Entry and Rescue, OSHA 10 or 30 hour general industry, safety inspections and many others activities.